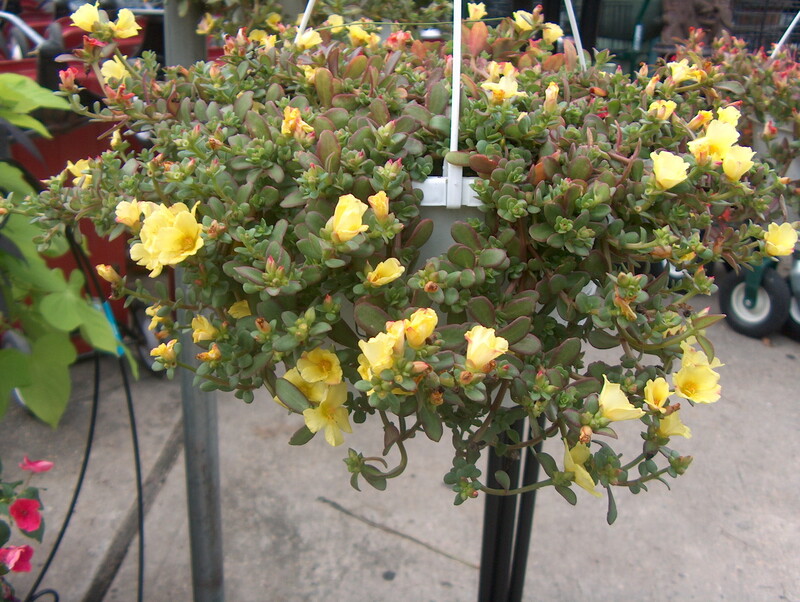 Comments: Purslane like portulaca grows best in full sunlight and in a well drained soil. Actually plants need very little soil to grow in. Plants are frequently used in rock gardens and other places where soils are shallow. Makes an excellent container plant and a seasonal ground cover during the hot months of the year.